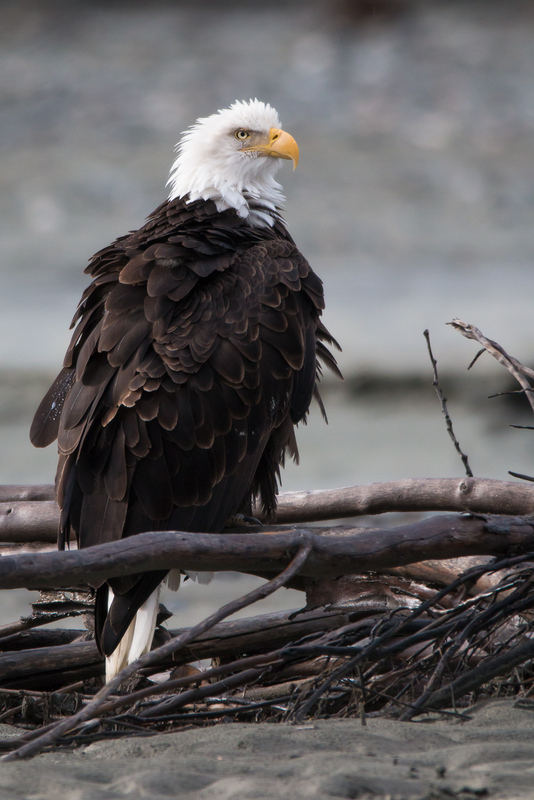 This bald eagle watches for an opportunities for a salmon catch from the flowing river. Autumn brings a large run of salmon that they rely on through the winter. Photo © copyright by Lance B. Carter.